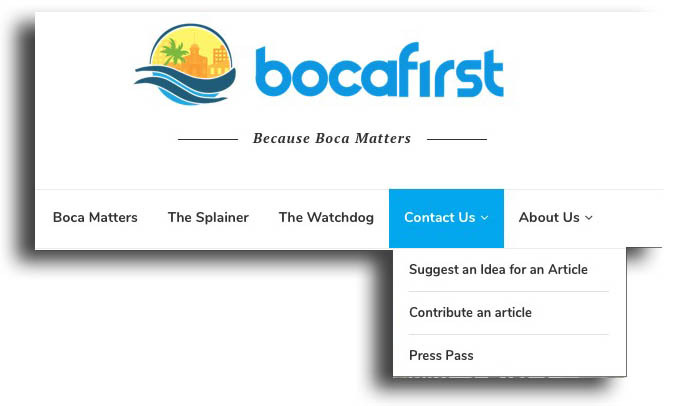 BocaFirst is a nonprofit community news source. Our goal is to provide Boca Raton residents with information on local issues often missed in profit-based publications. BocaFirst is free of advertising, free of benefactors and provides multiple independent points of views. Your input is one of our most valuable resources. Questions, comments and concerns become the basis of future editions, and your donation dollars ensure that the wheels keep turning. As volunteers, we devote time and energy to keep readers like you informed. However, even volunteer blogs have expenses. Advertising, website, electronic newsletters, and video production are just some of the expenses BocaFirst volunteers incur in order to run a successful public presence. Now, we need your help. 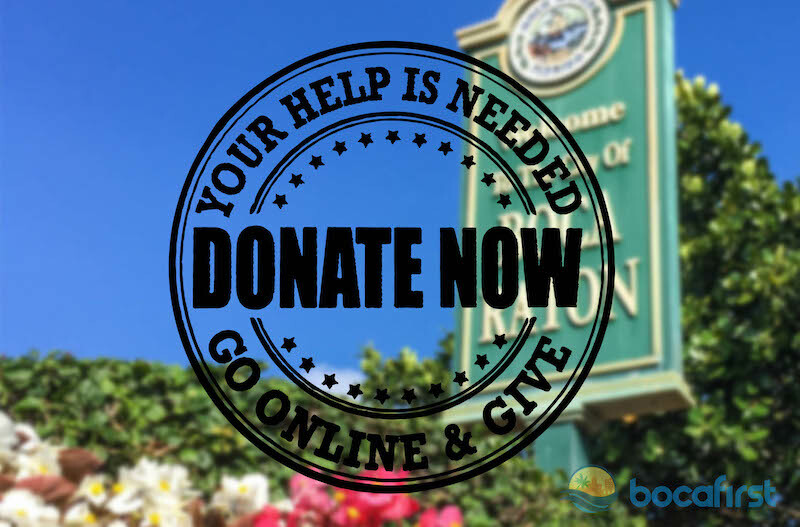 Your generous donation of $50.00 will go a long way to allow BocaFirst to operate and grow. The team at BocaFirst is grateful for your help. Together we can keep Boca first, front and center! REGISTRATION#: CH58180 A COPY OF THE OFFICIAL REGISTRATION AND FINANCIAL INFORMATION MAY BE OBTAINED FROM THE DIVISION OF CONSUMER SERVICES BY CALLING TOLL-FREE (800-435-7352) WITHIN THE STATE. REGISTRATION DOES NOT IMPLY ENDORSEMENT, APPROVAL, OR RECOMMENDATION BY THE STATE. Camino Square: Bye Bye Bike Lanes?